Back from the dead (again), Tony Stark’s rebuilding his corporation from the ground up—but enemies old and new remind him his work is never done! 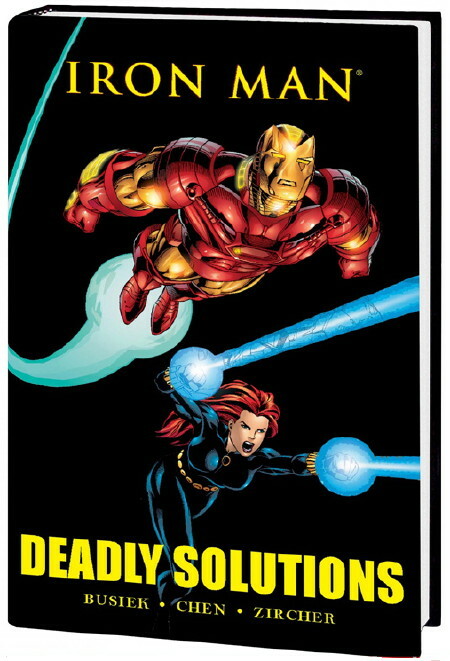 With romance, rivalry and robots to keep him busy, can Iron Man still help Avengers teammate Warbird in her match against Stark’s own worst enemy…the one in a bottle? Guest-starring the Black Widow and James Rhodes, a.k.a. War Machine! Collecting Iron Man (1998) #1-7. This entry was posted in Comics and tagged iron man by Kurt Busiek. Bookmark the permalink.